We've just released a new experimental feature "server code console" on the developer portal. You can now manage your server code on the developer portal, in addition to the existing command line tool. 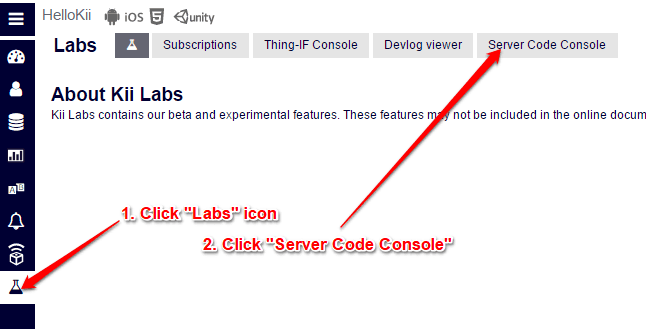 After selecting an application on the developer portal, click the "Labs" icon. Then, select "Server Code Console". When you launch the server code console, you will see a list of all server codes that are currently registered. To check the results of the scheduled execution, click the tab "Scheduled execution result". You can filter the list of results with a query condition. To check the available query conditions, click on "help?". 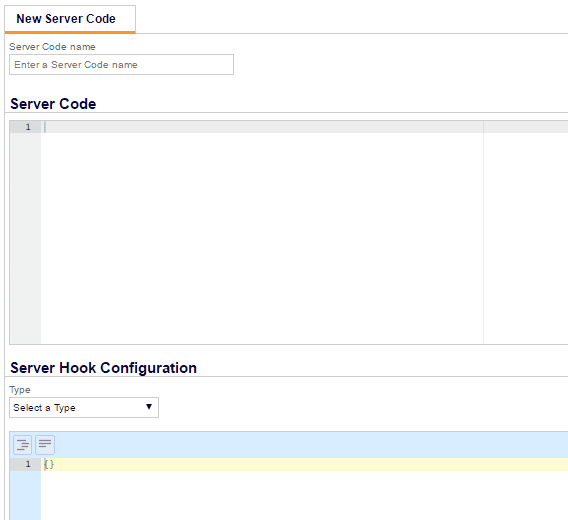 Click the button "+Add a Server Code" in the server code list screen to add a new server code and its server hook configuration. You can put a name on the server code for reference. The name you put here will be displayed in the server code list. Click on a server code in the server code list to move to the server code details screen. Here, you can activate/inactivate the server code. You can also delete or manually execute the server code.